Let's work together to keep our creek healthy. Through a behaviour change and education program, we aim to reduce stormwater pollution entering Dandenong Creek. We are working closely with the Environment Protection Authority (EPA), Knox City Council and project partners to monitor waterways within Dandenong and Old Joe's Creek catchment and improve water quality. Recent testing of the creek found high levels of heavy metal contaminants coming from stormwater drains in a local Bayswater industrial area. These industrial pollutants can cause significant damage to the critters and creatures living in the creek. This program seeks to educate the local community around pollution prevention methods and create awareness around this issue. We want to work with local businesses to prevent further pollution of Dandenong Creek. We have developed an education program for industrial businesses to help communicate the impacts pollution has on our waterways. If your business would like to learn more, please contact us. Help us keep Dandenong Creek healthy, report pollution to 1300 372 842. As stormwater runs over surfaces, it can collect pollutants that then flow into our rivers, creeks and bays. These pollutants include: litter, oil and grease, pesticides and metal pollutants. What are you doing to help reduce it? Melbourne Water is working closely with EPA Victoria, Knox City Council and South East Water to investigate pollution into Dandenong Creek. The Pollution Detection and Prevention Project involves conducting detailed water quality investigations, dye testing to help identify potential pollution pathways and stormwater and sewer infrastructure condition investigations using CCTV. What areas are you investigating? We are monitoring waterways and conducting investigations within Dandenong and Old Joe’s Creek Catchment and Heatherdale and Bungalook Creeks. Following recent pollution incidents in Dandenong Creek, EPA Victoria is leading investigations in Bayswater, Ferntree Gully and surrounding areas, where drainage leads to Dandenong Creek and Ferny Creek. Industrial sites that are found to be non-compliant will be subject to the EPA’s Compliance and Enforcement Policy, which involves remediation and fines. Failure to comply with remedial notices issued by EPA may attract a penalty of up to $7,929. Keep an eye out for any unusual runoff flowing into drains or the creek, any foam or other reactions in or on the water, other pollutants that look like they may run into the creek if not stopped, or anyone dumping waste in or around the area. 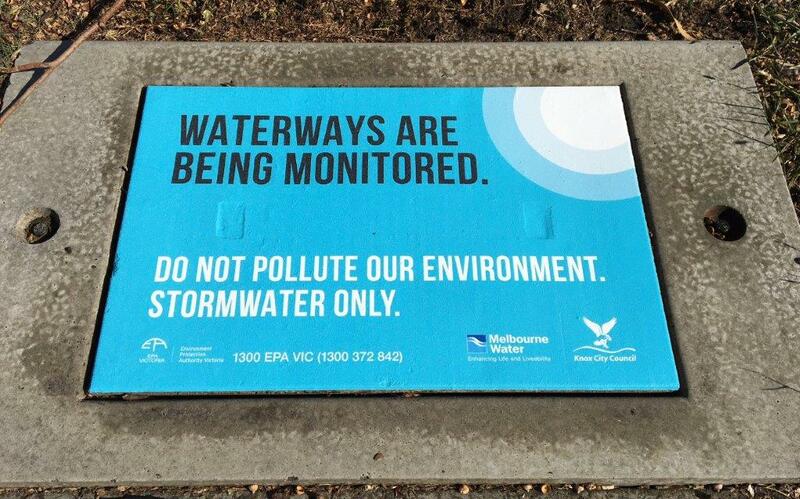 We urge you to report any information you may have in relation to pollution to 1300 372 842. Don’t wash pollutants such as paint, pesticides and detergents down outside drains.